Choosing an air conditioning system that is suitable for your commercial space is the first step to enjoying year-round comfort. Professional installation is important for optimum performance and increase lifespan of the system. Cheap and unskilled installation can lead to expensive repairs, high electricity bills and poor performance over the long term. Mouritz installation team are certified in installing, servicing, and repairing these systems correctly. Having the skills and experienced for all of your heating and cooling requirements. Commercial air conditioning requirements are much larger compared to domestic systems. They take on a much heavier workload and need to be well maintained to provide efficiency and reliability. When installing your system all work is performed professionally to Australian safety standards. Care must be taken at all times to maintain a safe environment and to provide your work space with year-round efficient comfort. Keeping your staff comfortable during hot or cold days is important for a happy and motivated team. There are many factors to consider when installing an air conditioning system in your office. Experience installers will consider your building layout carefully to ensure that there is an even flow of air to all rooms. A poorly design system may result in parts of your office being too cold or not cool enough. 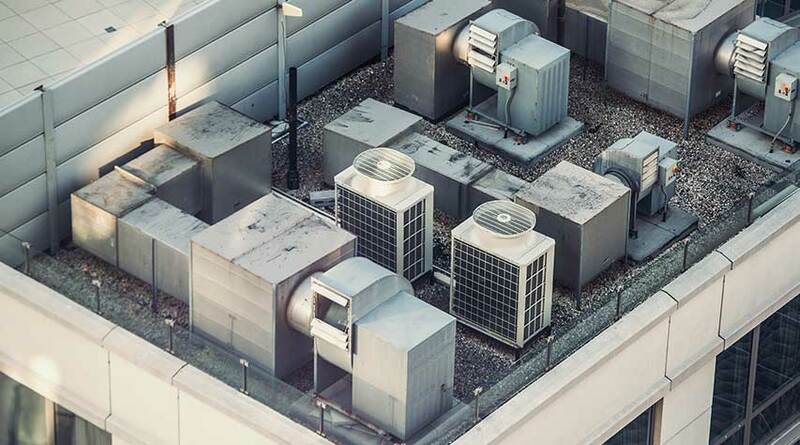 Our fully trained commercial air conditioning consultants can help to determining the best type of air conditioning system to suit your factory or warehouse environment. Our consultant will determine from your brief which air conditioning solution is ideal for your space. Mouritz was a preferred supplier of air conditioning for the Building Education Revolution. With hundreds of systems already installed in Perth schools we can offer the very best advice and service. Providing reliable and efficient performance for your school’s requirements. Mouritz can provide a comfortable environment for your staff and customers. Our professional commercial consultants can assist you with determining the best type of air conditioning to suit your retail environment. Whether being a single level or multi storey building, an air conditioning solution can be designed and installed for your comfort and peace of mind. Which Type of Air Conditioner? Depending on your commercial space we may recommend a refrigerated split system. Split systems are an efficient form of air conditioning, especially for heating. They are available in various capacities, including multi head units and will suit a variety of commercial applications. Ceiling cassettes are also available which are mounted flush to your ceiling with the compressor located outside. These units are very popular for small to medium sized shops. For larger commercial environments, our consultants can assist you with designing and selecting the best system for your specific requirements.